This is one of the most amazing places, stunningly beautiful, historically interesting and miles and miles of nothing. I must also say that I haven’t been there for a while: Last visit December 2015. The drive to Lekhubu Island / Kubu Island through the pans, with wide open spaces, the hoodia (plants) and all the raptors. We were also fortunate once to see springbuck. Lekhubu Island / Kubu Island is situated on the southern periphery of the Sowa Pan, which is the largest pan of the Makgadikgadi Salt Pans. The easiest route to the pans is via Letlhakane and Mmatshumo. There are other routes, non of which I have traveled on. Lekhubu / Kubu Island is a rock out crop which was submerged in the water of the great Lake Makgadigkadi which was one of the largest lakes in Africa. Kubu is a Setswana name for a hippopotamus while Lekhubu means a rock outcrop. 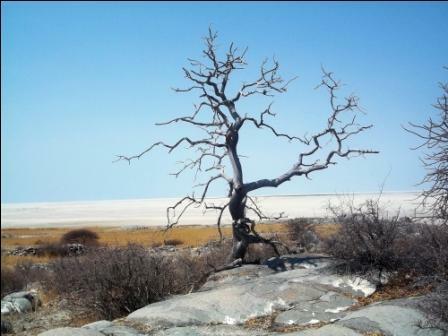 About 10 000 years ago the Lake Makgadikgadi dried up and Lekhubu was left an island surrounded by miles and miles of white salt. Research indicates that climatic changes and earth movements over thousands and thousands of years caused this dramatic change to take place. Low rock walls on the southern side of Lekhubu Island / / Kubu Island dates back to the great Zimbabwean empire. It is believed that this used to be the initiation center for males. Stone cairns are also found, which are said to be markers of those who initiated. On the north eastern side of the island are massive rocks that protrude far higher than any of the other rocks, it is here that the local Basarwa people have maintained a shrine. Camping is available at the island, but you need to be totally self sufficient. You get a piece of land and there is a long drop near by. 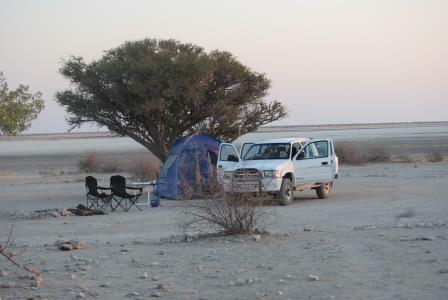 Moriti Wa Selemo is a wonderful place to visit, it is situated in a forest, not far from the Makgadikgadi Salt Pans. The best time to visit is during the dry months (April – October). During the wet season there is a good chance of getting stuck. There are places on the pans where 3 vehicles got stuck and today you can still just see their roofs. You need to be totally self sufficient with respect to water, fuel, food and camping equipment. It is worth visiting on a full moon, which we have done, and I can imagine the opposite, with no moon, would also be very impressive. Lekhubu is a sacred place, so please respect this whilst visiting. Nice blog, informative and just enough detail to keep me reading. We would like to visit some of these places next year but one of our travel mates is a school teacher and so we restricted to the school holidays. I have not made any bookings yet as this was only decided recently but your blog is so inspiring so i had better get moving as the chances of finding space anywhere is limited. Bots is stunning, you must come – if I can be of help, just shout. I love Baobabs and must therefore go to Lekhubu! My problem is that I travel on my own and that I come from Windhoek in a normal car to Botswana. I plan to go first to Maun for a week and do some day trips to the surroundings. I then wanted to go through Gweta, Nata, Francistown, Letlhakane, Rakops back to Maun. Obviously I can’t do the trip to Lekhubu with a normal car so I thought of renting a 4 wheel drive to get there. 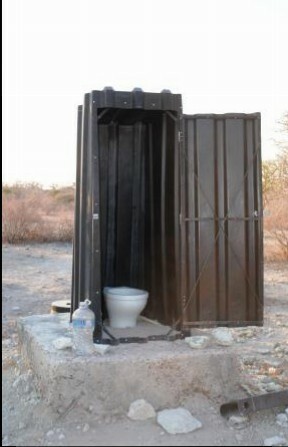 Either in Maun or in Francistown. My real question is: Is it possible for a non-experienced 4 wheel driver to do the trip from Letlhakane to Lekhubu on his own? Travel period would be mid April. Or this there any other possibility to get to the Baobabs? I don’t want to do this 5 day Quad excursion which seems to me a bit stupid. Would be lovely to get some advice from you! The easiest way to Lekhubu is from Letlhakane via Mmmatshumo, a novice 4×4 driver can easily do it. The quad bike trip would be nice = but you don’t have to do it. If I was you I would come in at Mohembo border post – but stay a couple of nights a ngepi just before the border or Shakawe just after the border. Do Maun – then head here to Letlhakane – go past us to Moriti Wa Salemo, they are on the edge of the pans and offer good advice on driving onto the pans. On your way back stop at Khumaga – it is worth it. Need any help – shout. nice place to take my fimily.how much cab cost me driving my car.or is there any shuttle to use from Gaborone to lekhubu? Hi Leepile _ it is a great place to visit. You would have to take a bus from Gabs, then a taxi from Letlhakane – not sure if a taxi would make it though. Hi, we are a french couple who intend to go to Lekhubu Island in mid october 2017 through Mmatshuma. Thank you to tell me if and how we have to book the camping. 2 more questions: how far (or how long time) is the campsite from Mmatshuma and from the crossing from the main road. We are planning our first trip solo trip through Bots and onto Vic Falls. We are looking at the option of driving from Lephalale to Lekhubu in a day. Staying there a few nights and then onto Livingstone (hopefully there is a northern route from Lekhubu in the direction of Kasane/Livingstone), also in a day. Is it realistic to think that we will be able to travel from Lephalale to Lekhubu and then from Lekhubu to Livingstone each in one day. We are planning this for early August hopefully before the rains. There is a northern route from Lekhubu – but apparently not great.